BAM wins a 2016 Rhody Award! 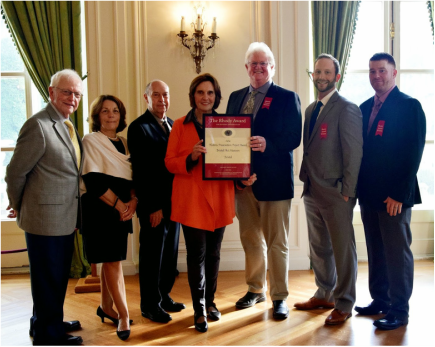 Each year, Preserve Rhode Island partners with the Rhode Island Historical Preservation and Heritage Commission to honor the people who make a difference by protecting Rhode Island's historic place. This year the Bristol Art Museum was recognized for its "thoughtful adaptive reuse of the Linden Place Carriage Barn (ca 1966) for galleries, artists' studios, and public classrooms."